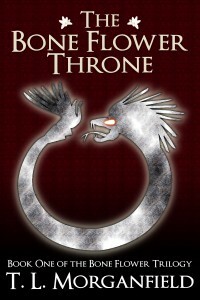 From now until June 23rd, I’ve reduced the e-book prices on both The Bone Flower Throne and Fugitives of Fate down to $.99. They are both available at a wide variety of retailers, so if you click on the book covers, that will take you to a page where you can quickly access the link to your desired retailer. Driven by fiery visions of the end of the world, Aztec Emperor Cuauhtemoc averted the Spanish Conquest, and now he seeks to end the inter-tribal fighting that would have condemned the empire. When he discovers a woman from his visions working in his palace, he knows he must win her trust: only the infamous La Malinche can help him turn his enemies into allies. Malinali has spent her whole life in slavery, passed from one abusive master to the next, and to her, Cuauhtemoc is no different than the other noblemen who’ve made her years miserable. Cuauhtemoc, however, is a determined man, and with time and work, her suspicion turns into trust, and trust grows into love. But is love enough to truly change destiny? Especially when the shadow of unraveled history threatens to turn them into the enemies they were meant to be? Both books make excellent summer reading getaways, so get your copy now! 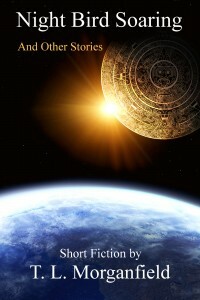 Today the ebook version of my first alternate history romance, Fugitives of Fate, comes out. I’ve been waiting a really long time for today to finally arrive. Quite a long time ago, when I was in the midst of writing lots of stuff for my One World alternate history series, I started what I thought was going to be a short story but it soon turned into a novella, and to my surprise, it turned out to be a genre romance. I knew nothing about writing or selling romance, for I was firmly grounded in the speculative fiction scene, and I didn’t think there was a market for it; I’d never read anything like it in any of the magazines I usually read, and it was a novella–that dreaded length that no one in spec fic publishing would touch unless the author was a big name. So I set it aside and sort of forgot about it for several years while I worked on other projects. But my usual problems surfaced: my agent didn’t want to take it on because she didn’t think there was a market for it, and though eventually, I did get some interest from a traditional publisher on it, they wanted me to change it so fundamentally, it would be like starting over from scratch. I didn’t spend a whole lot of time shopping this around to traditional publishers; I was busy working on Bone Flower, and so this always got put to the side, and I was making the move into self-publishing and starting to feel more and more comfortable with it. In the end, I decided to move on with it on my own, so I could keep creative control and tell the story I wanted to tell rather than trying to box it into traditional genre niches. I figured that the best I could hope for was a small press, and from experience, there isn’t much they can do that I couldn’t do on my own, so why not keep the control and put the book’s fate in my own hands? Click here to find links to your favorite vendor. 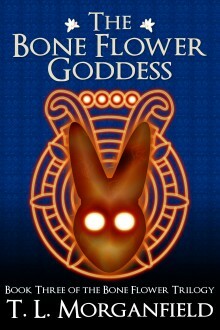 It’s also available in trade paperback. I’ve put the Kindle edition of The Bone Flower Queen up for pre-order on Amazon (and am looking into doing the same on Kobo as well). So you can order your copy now and it will be delivered directly to your Kindle on January 5th, the e-book’s official release date. I’ve also activated Kindle Match Book on it, so if you purchase the paperback version via Amazon, you can download the e-book for free. I am planning to have the paperback version on sale by mid to late December, for those who like dead-tree editions. I’ve also moved forward with widening the distribution for my short story collection Night Bird Soaring and Other Stories. As of this posting, it’s available at Amazon, B&N, and Apple IBooks, but should also be up on Kobo within a day from now. Go here for direct links to purchase. Only $2.99 for over 300 pages of short fiction! 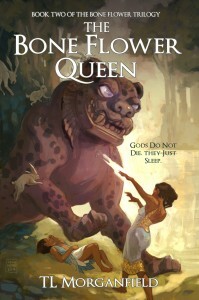 Bone Flower Queen also has listings on Goodreads, Booklikes, and LibraryThing. And starting tomorrow (the 13th), I’m running an e-ARC giveaway on Booklikes. I do have plans to also run a paperback giveaway on Goodreads once my ARCs arrive from CreateSpace.